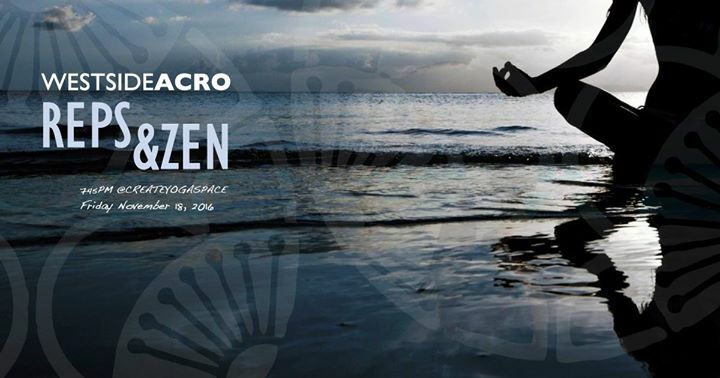 Westside Acro is back this week with ‘Reps & Zen’ for some new pass the flyer choreos as well as deep training in shoulder stand transitions, more boomarang work, more on spins and maybe, if we have time, a bit of slacker love. Class is all levels but designed to be hard work for all. We build really difficult and challenging poses and transitions in a progressive way so that you can work at your own level to get better at your practice. Get your zen on by learning to breathe in difficult transitions. Build strength through reps until you get muscle failure and the bliss comes for you!